"Moyamoya" means "puff of smoke" in Japanese — the condition was first identified in Japan, where the condition is more common than it is in the United States. 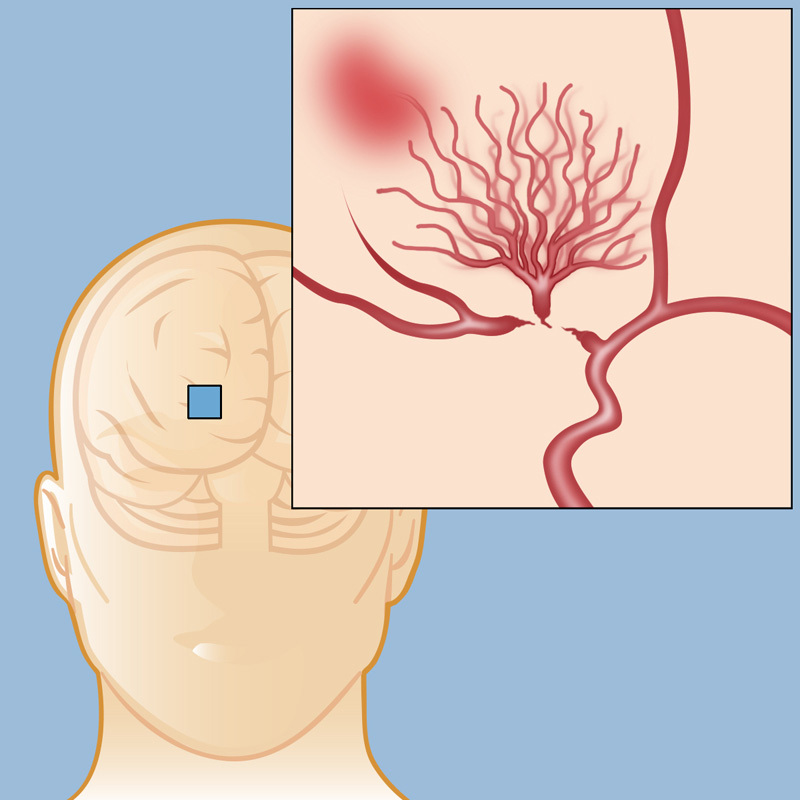 Moyamoya disease is a rare condition in which the flow of blood to the brain is blocked or restricted by narrowed arteries at the skull base. The body tries to develop more small blood vessels to compensate for the blockage, which results in a tangle of vessels that’s still not sufficient to get blood to the entire brain. The cloud of small vessels in that tangle look like a cloud on imaging tests, which is where the condition’s name comes from. "Moyamoya" means "puff of smoke" in Japanese — the condition was first identified in Japan, where the condition is more common than it is in the United States. It occurs most commonly in children, although it can occur in adults. In most patients with Moyamoya disease the blockage is bilateral, meaning arteries on both sides of the head are affected. 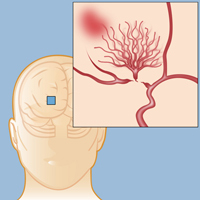 This creates a crisis within the brain as critical areas are deprived of blood supply, which eventually leads to neurological symptoms and may cause a stroke, or “brain attack.” Even in patients who present with unilateral Moyamoya disease, the blood vessels on the “good” side can become compromised over time. In some patients, a stroke or transient ischemic attack (TIA, or mini-stroke) is the first symptom of Moyamoya, although many patients will exhibit earlier signs such as headache, dizziness, or seizures (see Symptoms of Moyamoya Disease). Moyamoya disease is a relentlessly progressive disease, and without treatment, patients will have persistent and worsening symptoms as the diseased blood vessels continue to narrow. The disease can be fatal if not treated. Fortunately, there are surgical solutions to bypass the vascular blockage and restore blood flow to the brain (see Surgery for Moyamoya). Early diagnosis can help prevent permanent neurological damage. Brain damage can get worse the longer blood flow is blocked, making a prompt and accurate diagnosis critically important (see Diagnosing and Treating Moyamoya Disease). Moyamoya disease tends to run in families, making it likely that it’s a genetic disorder. There is no known way to prevent it, but treatment is usually successful in preventing further strokes or neurological symptoms. Reviewed by: Ning Lin, M.D.